Jim Ferris is the founder of GYM Ferris Fitness and a Philadelphia-based fitness trainer and coach that seemingly went straight from graduating from West Chester University to training professional athletes and teams. He has worked in all levels of sports performance – from pro athletes and local teams to everyday fitness enthusiasts. Since 2009, he has worked as a private contractor with a number of teams, agents, and athletes. 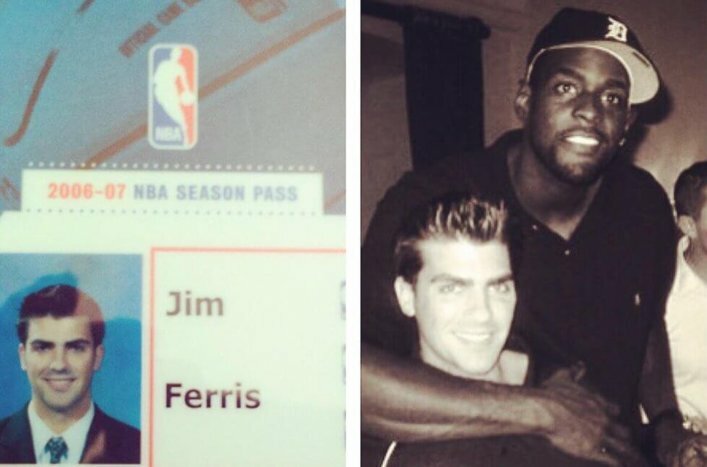 Jim joins me today to discuss how he seemingly went from graduating college to working with NBA athletes. He shares the vast differences between working in the private and public sectors and shares tips on starting and achieving sustained success while working with professional athletes. Last but not least, he also shares how his approach to training pro athletes has changed over the last two decades, and gives some advice for new fitness trainers that want to explore working in the public sector. How Jim got started in the world of physical preparation. How he started working with the Philadelphia 76ers. Why he decided to start a private fitness training practice. The biggest psychological differences between working in the public sector and working in the private sector in the fitness industry. The benefits of working as an intern and receiving mentorship to start working with pro athletes. What it’s really like to train pro athletes (and how it differs from what he thought it would be). Strategies he uses to train NBA athletes. What he attributes his career longevity to. How his training model and approach has evolved throughout his career. Advice for new fitness coaches and trainers. Are You Ready to Level Up Your Program Design Game?